International Atomic Energy Agency says Iran has fulfilled obligations under nuclear deal, paving the way for billions in sanctions relief. The International Atomic Energy Agency (IAEA) has said that Iran has fulfilled its initial obligations under the terms of the nuclear deal reached with world powers last July, paving the way for the first stage of sanctions relief. The IAEA's announcement came just hours after a breakthrough prisoner swap with the United States saw four American citizens freed in return for the release of seven Iranians jailed in the US. IAEA Director General Yukiya Amano hailed the announcement as "an important day for the international community." 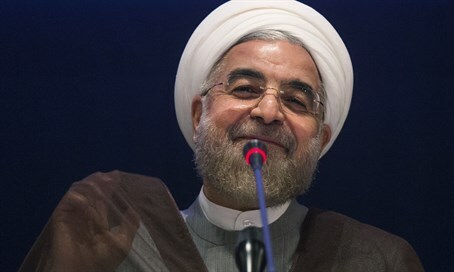 Sanctions relief to Tehran will see billions of dollars in trade and unfrozen funds flow to the Islamic Republic, in return for it enacting limited curbs on its nuclear program. Critics of the deal warn that even if Iran abides by the deal it can still resume its nuclear weapons program in 10-15 years, and that in the meantime billions in sanctions relief will enable the Iranian regime to significantly escalate its aggressive foreign policy and support for global terrorism.